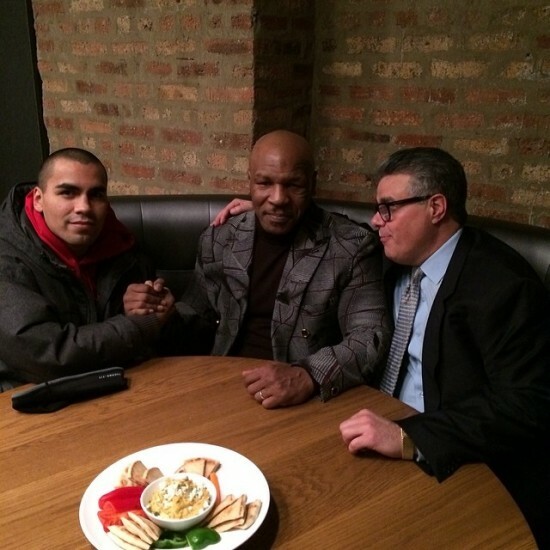 CHICAGO — IBF Junior Middleweight Champion “King” Carlos Molina (22-5-2, 6 KO’s) took a break from training last week to hang out with all-time-great “Iron” Mike Tyson in Chicago. LAS VEGAS, NV, January 17, 2014 — Former World Champion and Mexican boxing superstar Canelo Alvarez returns to the ring on Saturday, March 8 to face the fierce and rugged Alfredo “El Perro” Angulo in the headline attraction of a stacked four-fight event at the MGM Grand Garden Arena in Las Vegas, presented live on SHOWTIME PPV®. CHICAGO, IL, November 26, 2013 – IBF Junior Middleweight Champion “King” Carlos Molina is making good on his promise to be a “people’s champion”, as he continues to interact with the public in his beloved Chicago while waiting for his next big fight. 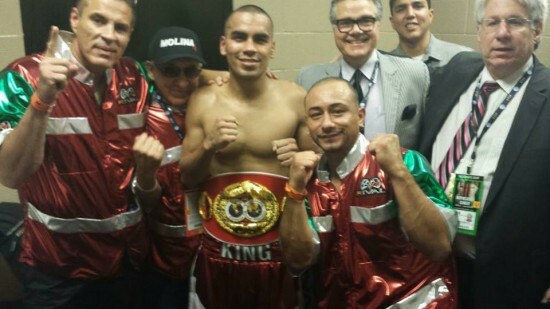 CHICAGO — Brand-new IBF Light Middleweight Champion “King” Carlos Molina says when he heard the ring announcer say the words “and the NEW”, he could finally relax a bit. CHICAGO, IL, September 17, 2013 — Brand-new IBF Light Middleweight Champion “King” Carlos Molina says when he heard the ring announcer say the words “and the NEW”, he could finally relax a bit.